Uth Creative Group, the independent creative agency, has appointed Milker Ho as executive creative director. In this role, not only will Milker help Uth create more work, he will also assist in training young creative talents and formulating a long-term business growth model. 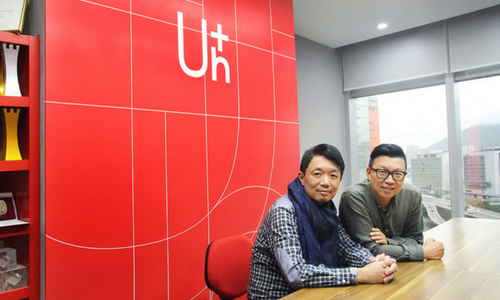 Prior to joining Uth Creative Group, Milker had been working as executive creative director with Leo Burnett for 17 years. He is one of the most respectable creative leaders in Hong Kong, winning numerous local and global awards. Desmond So, CEO of Uth Creative Group commented that it was an honour to have Milker joining them. This is a reunion of the two since working closely together at DMB&B, when Desmond acted as the general manager and Milker as the creative director. This also marks the creation of the first ECD role at Uth. With tremendous growth in the last 18 months, the agency has won numerous new businesses including Convoy, Dove, Lion & Globe, Optical 88, eGG Optical, Saint Honore Cake Shop, Planet J, AP Assets, Connexus Travel, and Human Health. Therefore, the agency saw the need to diversify its creative talent pool.